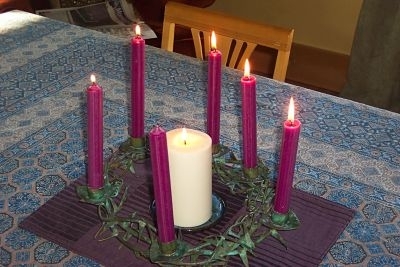 Light the Christ candle and the four purple candles. Light a fifth purple candle. Question: Why do we light this candle? Response: We light this candle to lavish Christ with our worship. Reflect: With what do you, your family, your church anoint Jesus in worship? Note: You could also sing a favourite hymn of praise at this point. This entry was posted in Christian Season of Lent. Bookmark the permalink.